When I was in high school and college I loved volunteering in my church nursery. I also briefly worked on habitat houses for several summers in middle school. Roofing is fun. Also, once I got married I did a lot of volunteer work, from baking to giving money to free rides and then some. I say this to tell you that I understand volunteer work is important. But now I am a new mom. 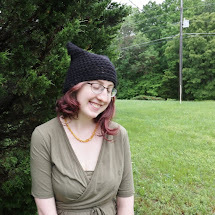 Once I gave birth the suggestions started coming in. 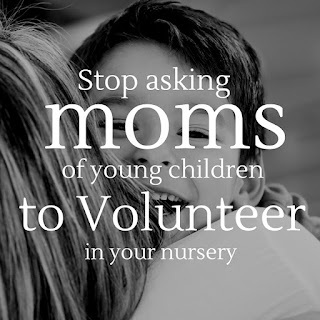 Almost every Sunday I would hear "you should volunteer in the nursery!" on a weekly basis. At first I felt bad. Why did I feel so against volunteering in the nursery? I finally gave in and said yes once. Reuben was about 4 months old and I had daddy keep him in the service because I knew if he was with me I wouldn't put him down. I wanted to volunteer and pay attention to the other kids. Only I felt worse after volunteering! I felt like I'd not been a good mom. I felt like I should have been in the service, soaking up God's word and tending to my own child. And I was tired and cranky all day because we woke up early to attend the first service so I could volunteer in the second. It took me awhile to work through all my feelings. Reuben is now almost 8 months old and I no longer volunteer in the nursery. 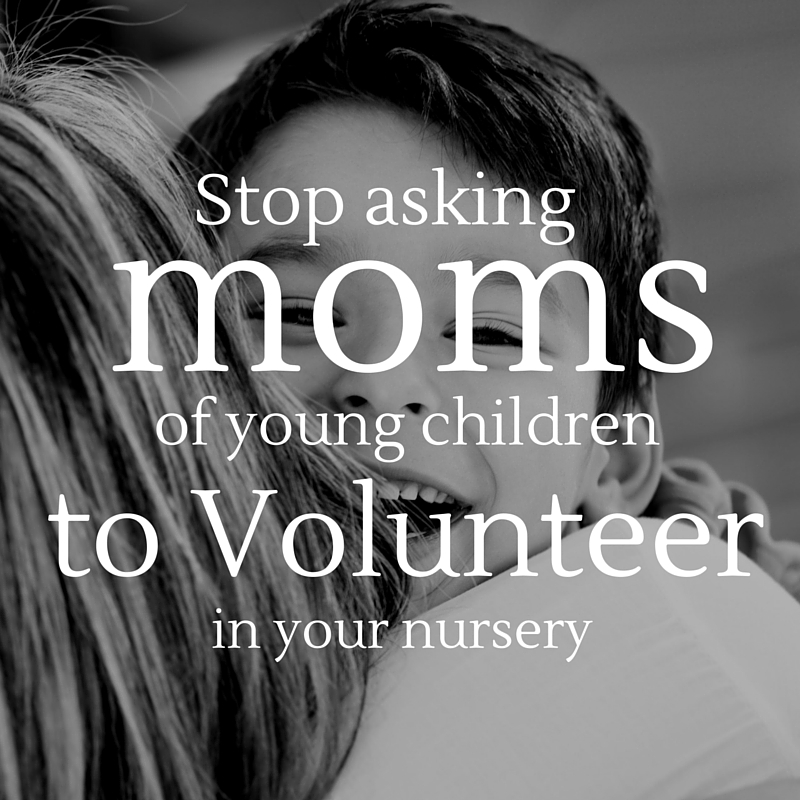 For one, my husband has never been asked to volunteer in the nursery, yet I get asked (still) almost every Sunday. Why is this? I know that the nursery is a role that more females than males tend to do, but still. The second reason is one of time. I just do not have time to volunteer in the nursery anymore. Sure, as a high school student I had plenty of free time! Even in college I had ample time to give to my church. (I would like to point out I had to step up and ASK to work in the nursery during these times). As a new mom my first priority is towards Reuben. He is a baby. I need to take care of him. My second priority, honestly is sleep. I need sleep. I am sleep deprived. I am also not going to put my mental and physical health on the line waking up an hour earlier to volunteer in the nursery. I am sorry. Many of the nursery workers I see are young moms. They are tired. They are stressed. Their kids are half dressed and they are sometimes (like me) late to church. It's a miracle we as parents of young kids even make it to church. Yet we are the main demographic asked to volunteer and give up what precious time we have. Why is this? You may say, well, Jesus wants you to volunteer! It's in the bible! It's your job as a Christian! Well, you would be right. God does want us to minister to those around us. But that can look different for everyone. For example, right now I love taking food to mom's of newborns. This is away I can volunteer without losing sleep or sanity. I am doing what I can. I cannot do more than that. Right now my first priority, as I said, is Reuben, my second is sleep, and after both those are filled I try to pay some attention to my husband because, you know, I'm married to him. If and only if all three of those are filled do I attempt to do something else with my time. Because what God does not want is me putting my mental health on the line to check off a "volunteer" box. He does not want me losing sleep to watch other people's kids and thus, be unable to take good care of my own because of exhaustion. Sometimes volunteering is wonderful. 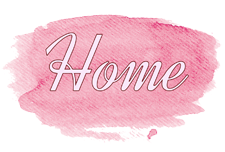 But sometimes, and especially as a new mom--I need to be ministered to, not doing the ministry. Now this may not be for all moms of young children. Some may be able to volunteer. Some may love it, and some may feel called to it even when they hate it. God works in many different ways. What I don't like it the expectation that just because I birthed a kid, I somehow magically belong in the nursery. I don't like the fact that when I am at my lowest and most vulnerable and struggling to feed myself on a timely basis, others think I somehow need more on my plate. I dislike the stigma that those who volunteer are somehow more "holy" or "Godly" than I. I am not more holy if I volunteer or if I don't. I am a sinful child of God who is struggling in this world. And my current daily struggles do not permit me time to volunteer in the nursery. To do so would be to ignore my conscience and to be sinful, I believe. At this time in my life I can hardly handle taking care of the small person God has entrusted to me. I feel that God has called me to die to myself daily as I care for my small family. That is my ministry right now. Thus, saying no to these volunteer opportunities is God's will for me. Please, fellow worshipers, respect and understand that.